These sweet, petite earrings are from Roberto Coin's Princess Flower collection. 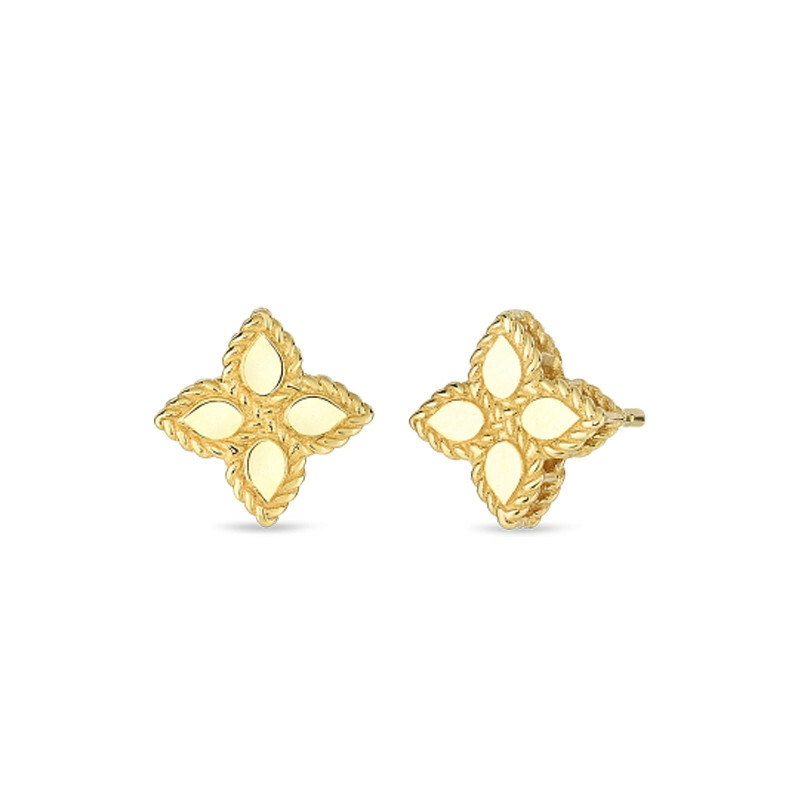 Crafted in 18K yellow gold, a quartet of flower petals are presented in smooth gold with twisted trim. You can see the terrific texture when you view the studs from the side; they've got depth and dimension. The darling design of these dainty Roberto Coin earrings is evident from every angle, delivering delight.